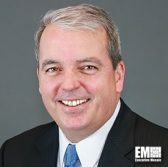 NCI Information Systems has received a $22M contract to modernize information technology infrastructure at the U.S. Army‘s Home Station Mission Command Centers located at nine domestic and international sites. The service’s program executive office for enterprise information systems awarded the contract that has three base years along with eight optional tasks, NCI said Thursday. HSMCCs support mission command operations through a network of standards-based IT platforms that are incorporated into a common operating environment. “We look forward to joining forces with the Army in support of their mission to defend our nation and our allies against emerging threats,” Paul Dillahay, president and CEO of NCI, told ExecutiveBiz.